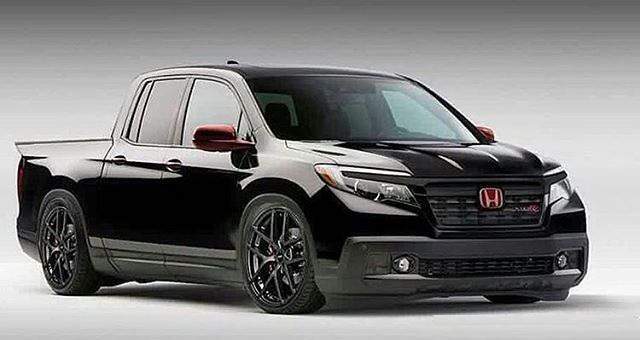 Honda is among the leading carmakers worldwide but the Japanese giant is more famous for making sedans and crossovers than commercial grade vehicles, as it is. It has always played second fiddle in pickup truck sector to rivals like GM and Ford, nearly in all markets. 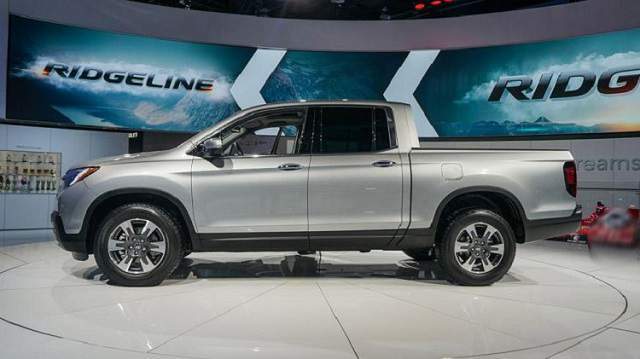 The Ridgeline, its sole truck was pulled out in 2014 but Honda reintroduced it in the US market in 2017. For 2018, it is getting a revamp. 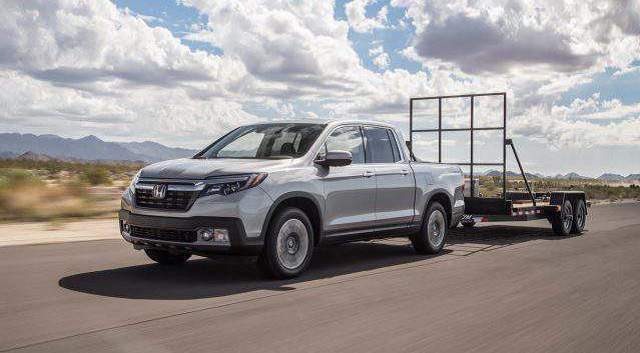 While the 2018 Honda Ridgeline comes with a number of useful and innovative features- many industry veterans refuse to acknowledge it as a proper pickup truck. The 2018 Ridgeline sports sleek design and resemblances with its sedan siblings are evident. It is sold in crew cab form factor only. The looks of Honda Pilot are at front and sides too. The rear side is quite boxy which makes it look more like a truck. The exterior color choices include Modern Steel Metallic, deep scarlet Pearl, Obsidian Blue Pearl etc. You get trim choices like RT, RTS, RTL, Sport, RTL-E, RTL-T and a special Black Edition. You can pick from different types of 18-inch wheels. 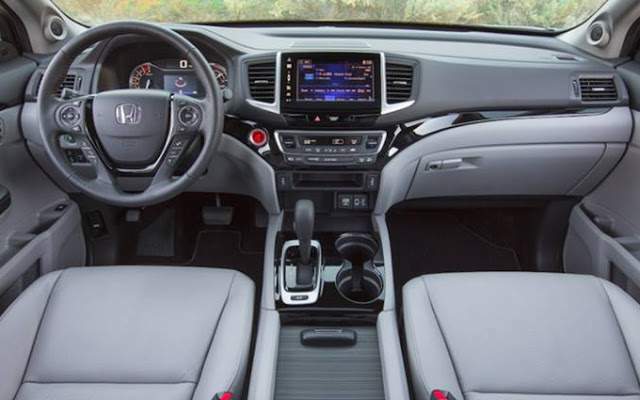 The interior of 2018 Honda Ridgeline resembles that of Civic and it seriously does not look truck like. It is spacious and can be used to accommodate 5 adults easily. Honda provides enough seat adjustment options. When it comes to riding comfort, the 2018 Honda Ridgeline can pose a serious threat to many popular category rivals even though it may lag in sheer power. Its 3.5-liter V6 engine is lifted from Acura’s MDX and the same unit is also used in Pilot sedan. It reaches zero to 60 mph in only 6.4 seconds. As for handling rough terrains, it is not far behind the Tacoma and Raptor. The Ridgeline handles rough roads well even in normal driving mode. The bed used in 2018 Honda Ridgeline is a versatile one and carrying capacity is not bad either. The maximum tow rating is 5,000-pounds. The maximum rated payload is 1,584 pounds. All trims get embedded trailer-sway control and hill-start assist. Also, the rearview camera aids the towing. Its bed is made of sturdy UV-stabilized plastic. The dual function tailgate helps the users in operating it in ways suiting their needs. Beneath the bed floor, there is a built-in cooler. The entire bed can also be converted into an audio system. Compared to many of its segment contenders, Honda Ridgeline 2018 comes loaded with plenty of amenities and top safety features. Of course, top features are reserved for top two trims. All trims get USB port, Bluetooth audio streaming, cruise control, two-way tailgate. In RTS you get 3 zones automated climate control, remote engine start, fog lights and smart entry. Sports trim gets grey alloy wheels, black paint. In RTL trim there is a leather-trimmed cabin, acoustic windshield and heated front seats. RTL-T trim gets Sat nav, 8.0-inch touchscreen, HD radio and Smartphone support. RTL-E gets best of safety features like adaptive cruise control, parking sensors, blind-spot monitors, Collision Mitigation Braking System and lane-keep assist. It also gets premium audio, moonroof, heated steering wheel, and truck bed speakers. In the Black Edition, you get red ambient lighting, black trim and perforated leather seats. In conclusion, the 2018 Honda Ridgeline is going on sale in late 2017. Pricing for base RT trim begins at $29,500 approx. The Black edition costs near $43,000. The 2018 Honda Ridgeline is one of the feature packed midsize pickups you can buy. It offers a powerful engine, sleek cabin and good ride experience. However, both in payload and towing capacity it loses big time to segment leaders like the Ford F-150. Will Chevrolet ever bring back the Avalanche?